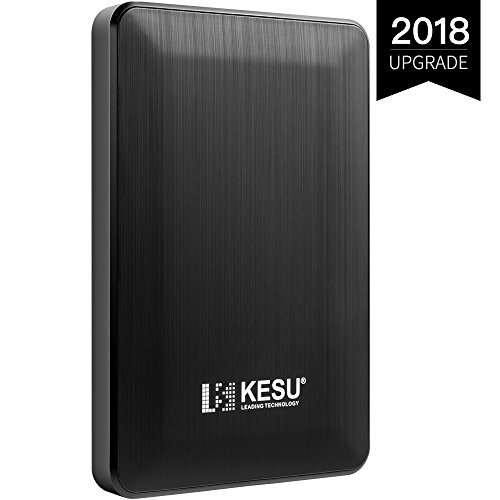 2018 New version, Compare with KESU2530, thickness reduced by 2mm. Brushed surface & Seamless connection, makes it feel better in your palm. Simply attach the USB cable to your computer and you're ready to start sending files. Upgrade Version - Ultra slim,only 0.43 inch; Brushed surface; Seamless connection. System Compatibility - Windows / Mac / Linux / Android OS. Plug and Play - Without software to install, just plug it in and go. Ultra-fast Data Transfers - Works with USB3.0 and USB2.0 to deliver ultra-fast transfer speeds. What You Get - 1 x Portable Hard Drive,1 x USB3.0 Cable, 1 x User Manual, 3 Years Manufacturer Warranty. If you have any questions about this product by KESU, contact us by completing and submitting the form below. If you are looking for a specif part number, please include it with your message.